�Walden. Yesterday I came here to live.� That entry from the journal of Henry David Thoreau, and the intellectual journey it began, would by themselves be enough to place Thoreau in the American pantheon. His attempt to �live deliberately� in a small woods at the edge of his hometown of Concord has been a touchstone for individualists and seekers since the publication of Walden in 1854. But there was much more to Thoreau than his brief experiment in living at Walden Pond. A member of the vibrant intellectual circle centered on his neighbor Ralph Waldo Emerson, he was also an ardent naturalist, a manual laborer and inventor, a radical political activist, and more. 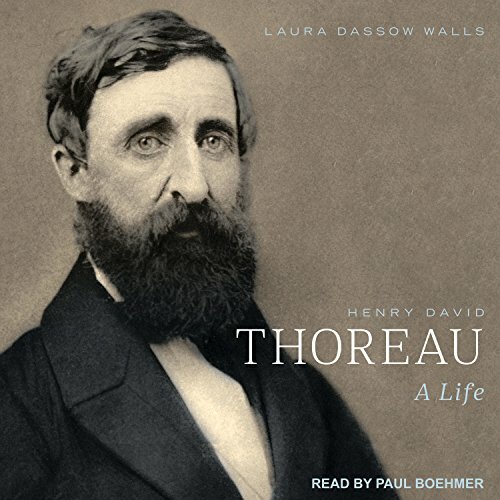 Many books have taken up various aspects of Thoreau's character and achievements, but, as Laura Dassow Walls writes, �Thoreau has never been captured between covers; he was too quixotic, mischievous, many-sided.� Two hundred years after his birth, and two generations after the last full-scale biography, Walls restores Henry David Thoreau to us in all his profound, inspiring complexity.